When you dream of summer, these are colors that often come to mind. Accented with gold leaf to capture bits of sunshine. The final appearance is created through the application of multiple layers. 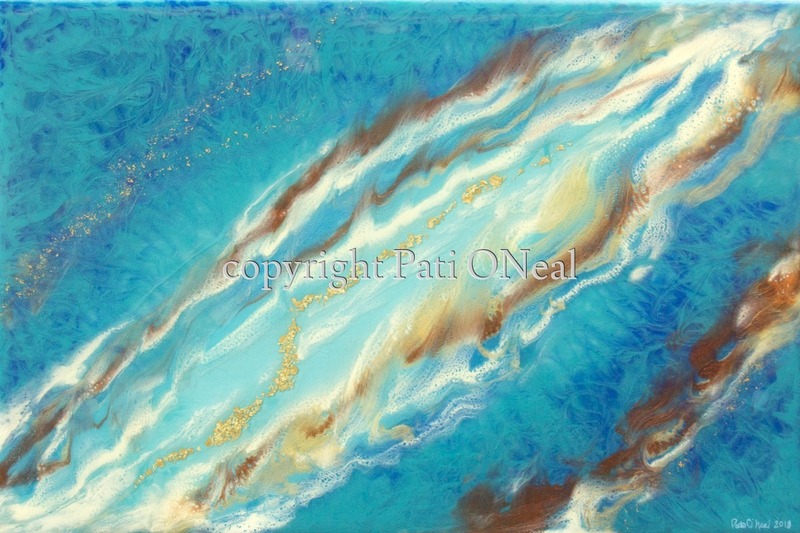 This original work is currently available at Sunshine Arts in Kahalu'u, Oahu. For a similar commission contact the artist.